The Question of the Malvinas Islands, understood as being the sovereignty dispute between Argentina and the United Kingdom over the Malvinas, South Georgias and South Sandwich Islands and the surrounding maritime spaces, originated on 3 January 1833, when the United Kingdom disrupted Argentina’s territorial integrity by illegally occupying the islands and evicting the Argentine authorities, preventing their return and the settlement of Argentines from the mainland. Since then, Argentina has consistently denounced the United Kingdom’s usurpation and, as it is provided for in the Argentine Constitution, has ratified its sovereignty over the islands and affirmed that its recovery in accordance with international law constitutes a permanent and unrelinquished goal. The United Nations has characterized the Question of the Malvinas Islands as a special and particular colonial case involving a sovereignty dispute between the Argentine Republic and the United Kingdom of Great Britain and Northern Ireland which should be settled by means of negotiations between the two parties. The Organization of American States, for its part, has also made statements to that effect. Moreover, Argentina enjoys the full support of the countries of Latin America and the Caribbean, as well as of the 54 African countries, in claiming its legitimate rights to sovereignty over the Malvinas, South Georgias and South Sandwich Islands and the surrounding maritime areas, as well as the solidarity of countries from other regions, which support the resumption of the negotiations between the two parties with a view to reaching a peaceful and definitive settlement in the dispute. 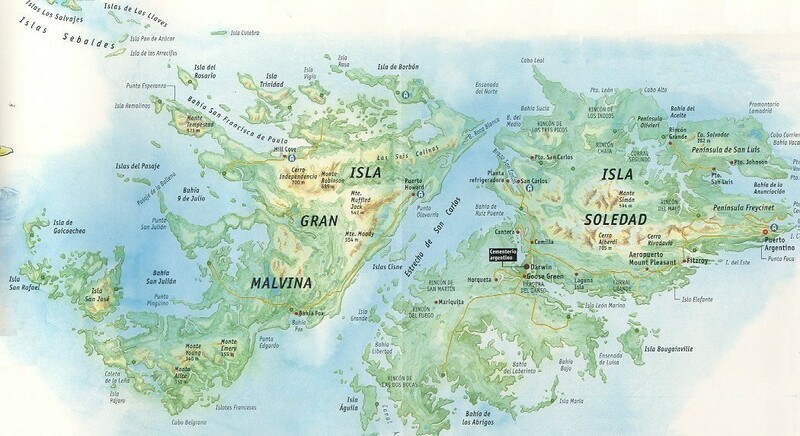 The Argentine Government intends to recover the islands peacefully, in accordance with the principles of International Law, and bearing in mind the interests of the inhabitants. Nevertheless, despite the permanent desire for dialogue of the Argentine Government, the United Kingdom has ignored all calls made by the international community to resume sovereignty negotiations, and exacerbates the situation by conducting a series of unilateral activities, which include the exploration and exploitation of renewable and non-renewable natural resources, as well as holding military exercises there.